To say "I want you"
Keyboards & programming: Chris Lowe, Tim Powell, Owen Parker, Matt Gray, Brian Higgins. Brass arranged and conducted by Andy Brown. Brass players of the London Metropolitan Orchestra recorded at Abbey Road studios by Andy Dudman. x "All Over The World" uses a melody from the "Nutcracker Suite", composed by Tchaikovsky. 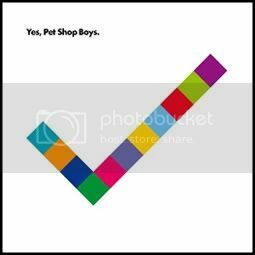 x Chris Lowe: "That track goes back a long way. We heard it when we were in Monterey in Mexico and we were listening to this dance music which has a very strange rhythm. We tried to reproduce it but we couldn't. I think you've got to be Mexican to be able to do it. I just shoved on the brass riff from Tchaikovsky, which sounded quite good. That took it in a certain direction and then we wrote a song around it which we didn't actually like and we were going to drop it from the album. But we decided to persevere and carry on with the Tchaikovsky chord progression and it totally transformed. Neil put a verse melody on and it became one of our favourite songs on the album. But that song certainly went on quite a journey."